Be the first to share your favorite memory, photo or story of Avis. This memorial page is dedicated for family, friends and future generations to celebrate the life of their loved one. 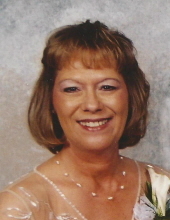 Avis Jeppesen, age 61, of Aurora, SD passed away surrounded by her family on Friday, March 22, 2019 at the Dougherty Hospice House in Sioux Falls, SD. Funeral service will be 11:00am on Friday, March 29th at Our Saviours Lutheran Church in Canby, MN. Visitation will be 4 to 6pm on Thursday, March 28th at the Houseman Funeral Home in Canby, MN with a prayer service at 6pm. Visitation will resume one hour prior to the service at the church. Burial will be at St. Stephens Lutheran Cemetery, Canby, MN. Houseman Funeral Home of Canby, MN is entrusted with the arrangements. Avis Ann (Benz) Jeppesen was born on March 24, 1957 in Canby, MN to her parents Kenneth and Nina (Ouverson) Benz. She was baptized and confirmed at Our Saviours Lutheran Church in Canby. She was raised on the family farm in Fortier Township and graduated from Canby High School in 1976. Avis married her high school sweetheart and the love of her life Bruce “Baze” Jeppesen on December 27, 1980 at Our Saviours Lutheran Church. In the union of this marriage their daughter Michelle Ann Jeppesen was born. Avis was a self-employed beautician, professional house cleaner and also worked at various industries including: Falcon Plastics, Twin City Fan and StoneyBrook Suites Assisted Living; all in Brookings, SD. She loved gardening, birds, her cats and her perfect lawn while enjoying the outdoors. Her pride and joy were her twin grandsons, Jaylen and Jayce Nasheim. Avis is survived by her husband of 38 years, Bruce Jeppesen of Aurora, SD; her daughter, Michelle (Tim) Nasheim of Fargo, ND; her grandsons, Jaylen and Jayce Nasheim; her mother, Nina Benz of Hendricks, MN; her sisters: Jeanie (Dan) Ochsendorf of Watertown, SD, Linda (Kenneth) Vlaminck of Brookings, SD, Linette (Kevin) Benz of Shakopee, MN, Marie (Gary) Vlaminck of Marshall, MN and Julie (Chuck) Nygaard of Hendricks, MN; a special sister-in-law, Kelly Stewart; in-laws: Mary Jo Knutson, Connie (Bill) Otto, Gregg Jeppesen, Lori (Chris) Husby, Barb Jeppesen, Karin (Jim) Beer and Brad Jeppesen and 27 nieces and nephews and 57 great-nieces and nephews and numerous cousins and friends. She is preceded in death by her father, Kenneth Benz; brother, Lee Benz; sister, Cindy Hovitek; father and mother-in-law, Arvin and Caryl Jeppesen; and brothers-in-law: Loren Ochsendorf, Ronald Hovitek and Allen Reiners. To plant a tree in memory of Avis Ann Jeppesen, please visit our Tribute Store. Visitation will be 4 to 6pm on Thursday, March 28th at the Houseman Funeral Home in Canby, MN with a prayer service at 6pm. Visitation will resume one hour prior to the service at the church. Visitation will resume one hour prior to the service at the church. "Email Address" would like to share the life celebration of Avis Ann Jeppesen. Click on the "link" to go to share a favorite memory or leave a condolence message for the family.